Yes, it’s true, our cat Gable was gay. The only one who could pick him up was our landlord, and they would plotz over each other like two preening queens. My mom Charlotte and her mom Blanche were not lesbians, but they knew and loved the whole gay community, including “Auntie Frank,” she of the cowboys boots and best friend (a femme who “never found the right man either.”). So, yeah, I’m going in a handbasket, whatever. I actually don’t believe in Hell (there’s enough on Earth), but they still want me to go there. Whatever. Imaginary Garden With Real Toads’ Marian asked us for poems about, influenced by, or concerning Oscar Wilde. She posted a BRILL YouTube clip of countertenor David Daniels, whose voice you would swear is alto – he’s a countertenor, higher than a tenor – but he seems pretty chill for an opera singer. 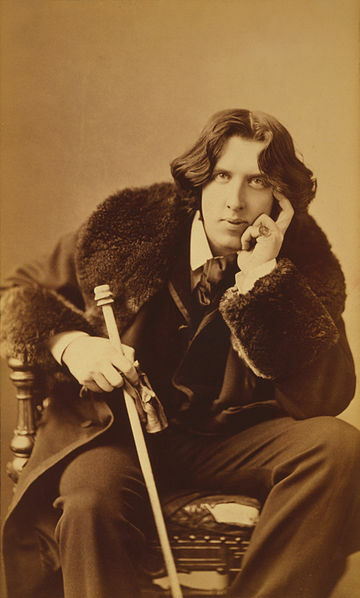 Click HERE to witness his magnificent voice, as he prepares to premiere an opera about Oscar Wilde, starring as the man himself. Many followers of the Christ assume only they are going to Heaven. Even worse, within Christianity, there are pickers and choosers; they claim to speak for God and freely condemn all sorts of people, just like the Pharisees did in their day. So this is dedicated to the harder hearts among Jesus’ legacy, sure the Rapture is just around the bend and rubbing their hands in delight and/or angst about all us miserable folks who are surely going to Hell. Miss “Mah sinuses ache” WHAM! Written for ABC Wednesday, brought to you by the letter P. Also at my cornerstone, Poets United.